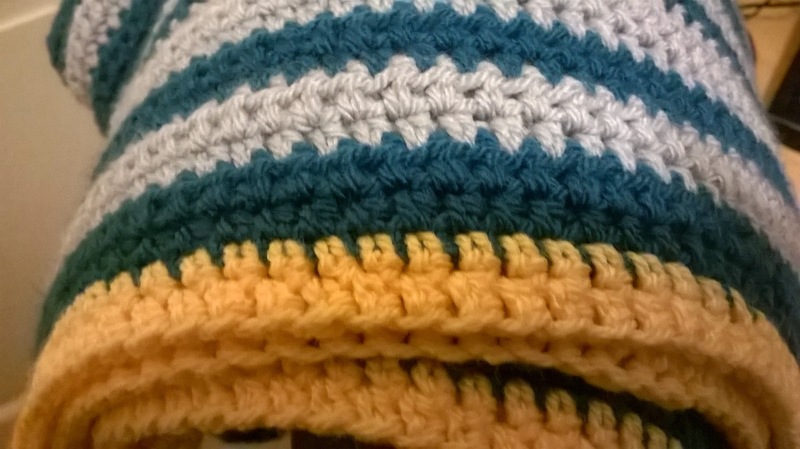 This month has been a really busy month but I have still managed to squeeze in quite of bit of crochet. I tend to do it at night when I am watching TV. I had two proper commissions this month, not just my family asking me to make things! 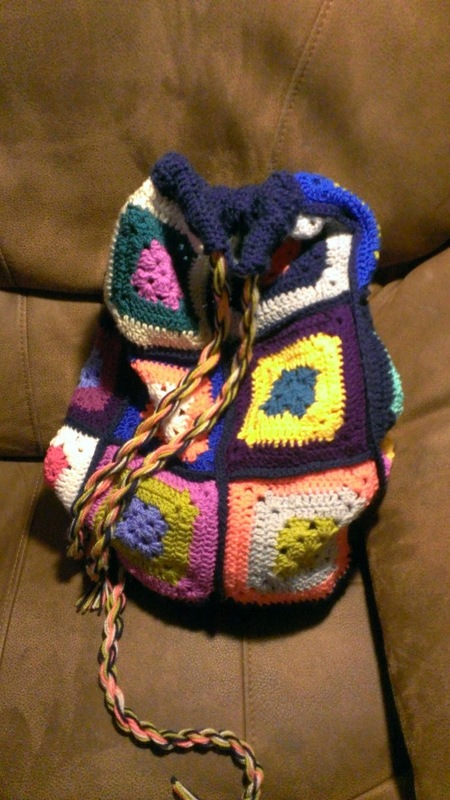 First where these two bags for a ladies who wanted them for her daughter and baby granddaughter. One is actually a lot smaller than then the other I am just really bad at pictures! She had seen a pattern in magazine and asked if I could make it. The pattern wasn't great so I bought the book in which the pattern was originally published and it was better but not by much. 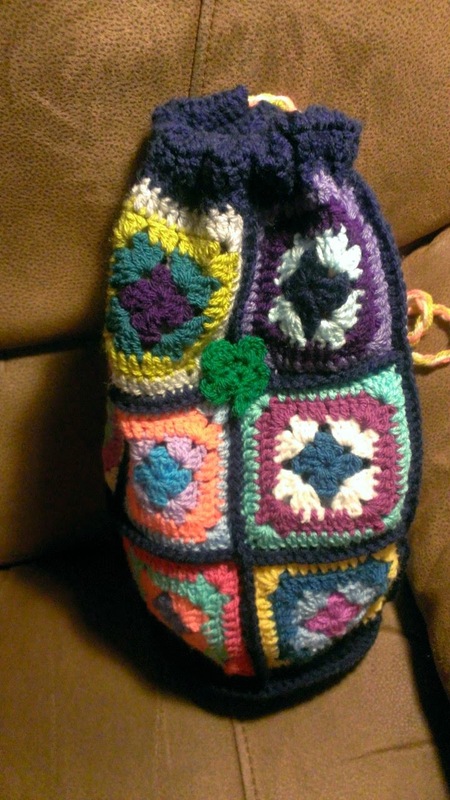 The pattern was just for the tube of the bags and then there were instructions for a cloth lining so I played around and crocheted the whole bag. 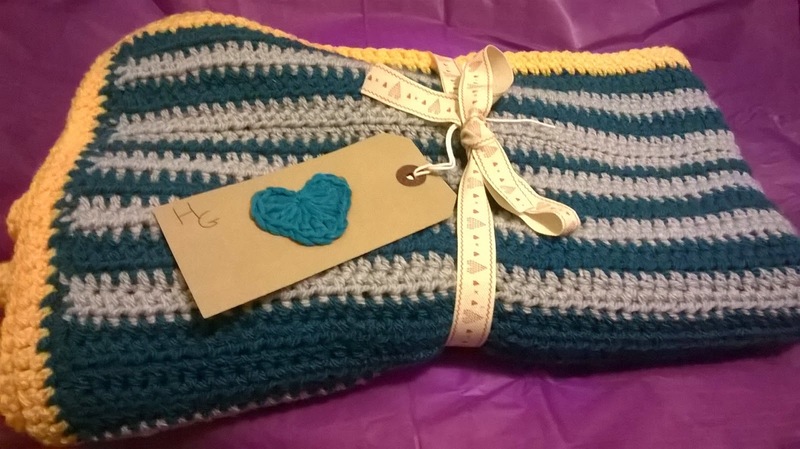 Next was this super gorgeous baby blanket for my friends baby nephew. I had made her one for her new baby and she wanted one for her sister. 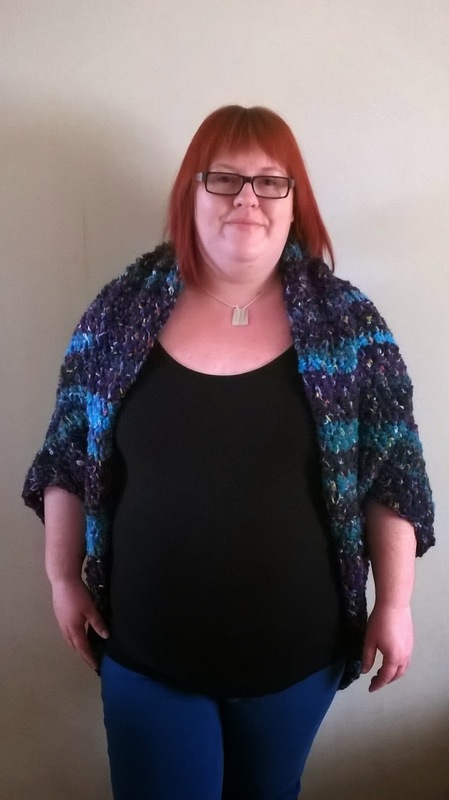 They were over the moon with it and so what I.
I was feeling a bit sorry for myself so I crocheted a shrug. 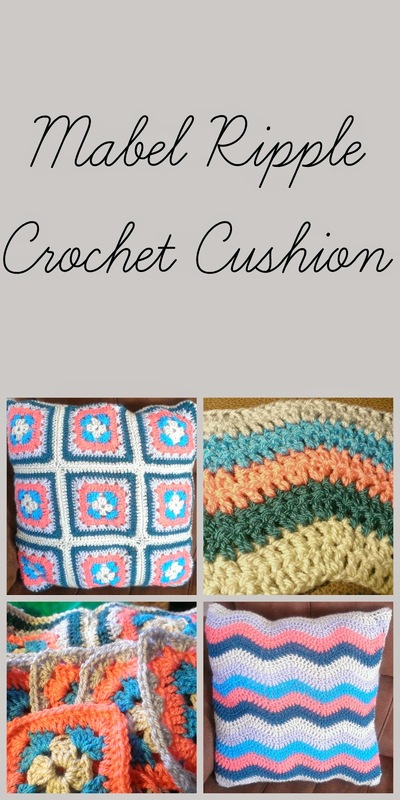 It wasn't quite the was I envisioned it and didn't look quite like the picture with the pattern which you can find on Lion Brand Yarn but I think that is because of the yarn I used. I also made this spooky Halloween garland that my daughter asked for. 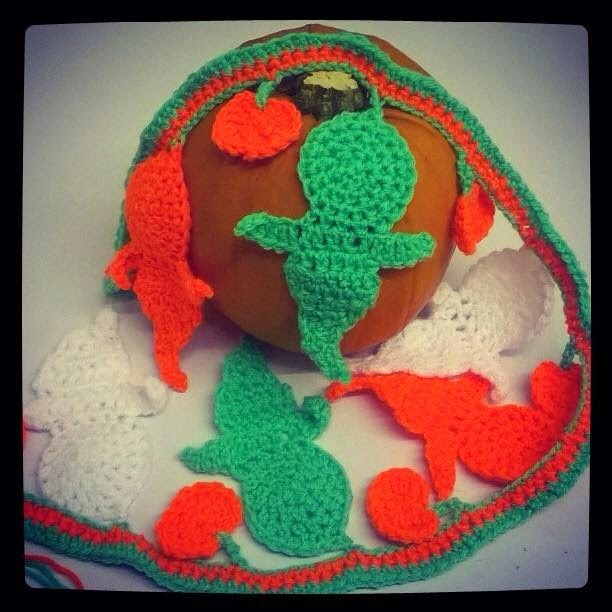 The ghost's are from a simply crochet pattern and the mini pumpkins were a ravelry pattern . I was sent some yarn from Craft Merrily for my November Crochet Challenge that I will tell you all about on Saturday so I used some of the stash for this garland. 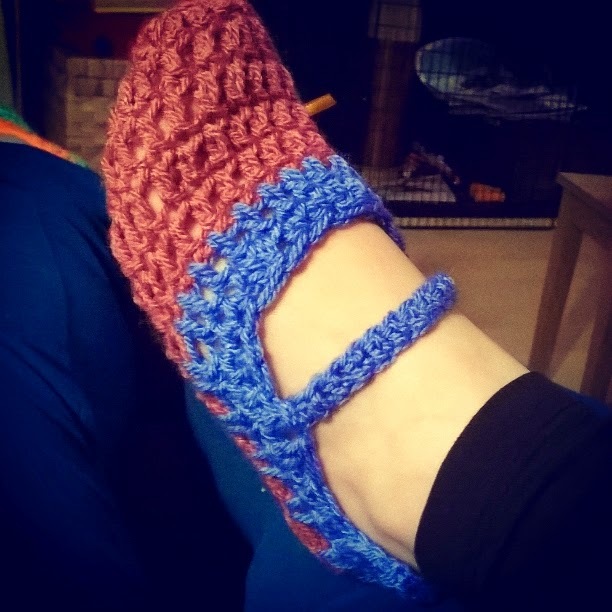 I also had a play around with slippers following a pattern from 2Create in Color. My first one a little big but the second fit lovely. 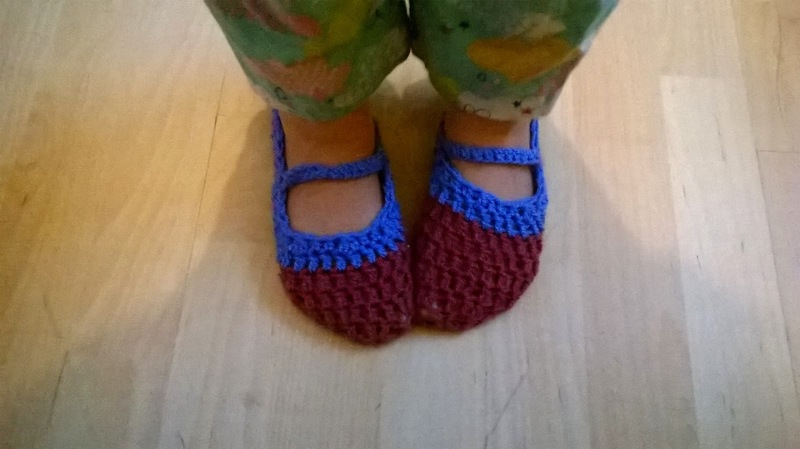 My daughter than asked for a pair so I adjusted the size basically by keep getting her to try it on and adding or taking away stitches. 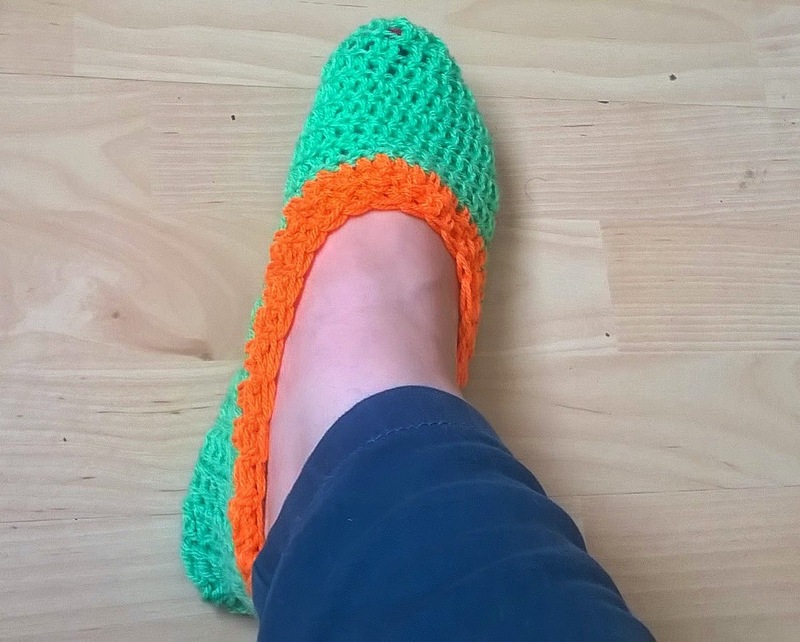 I added an extra row around the top and then a a few rows at the back for a higher heel. I also added a strap. She is really happy with them. 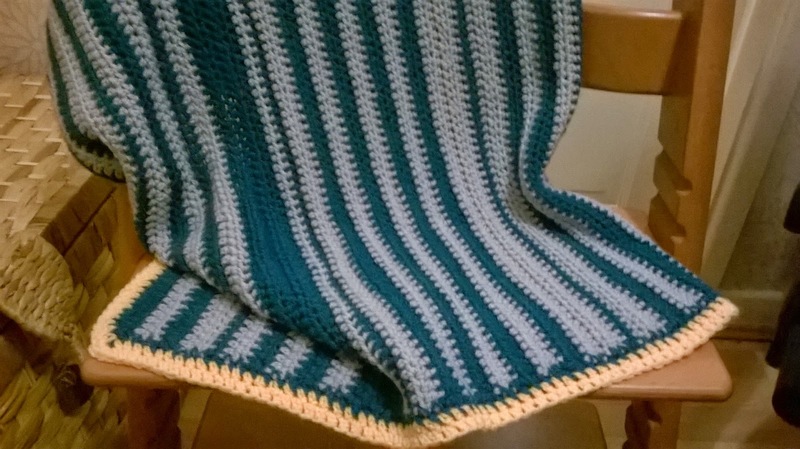 What did you crochet in October? Psst I am running a little giveaway on my facebook page.